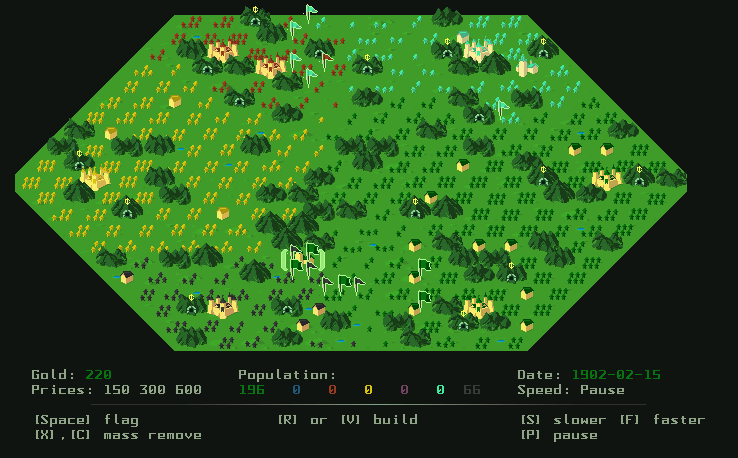 Curse of War is a fast-paced action strategy game for Linux originally implemented using ncurses user interface. An SDL graphical version is also available (since version 1.2.0). Unlike most RTS, you are not controlling units, but focus on high-level strategic planning: Building infrastructure, securing resources, and moving your armies. 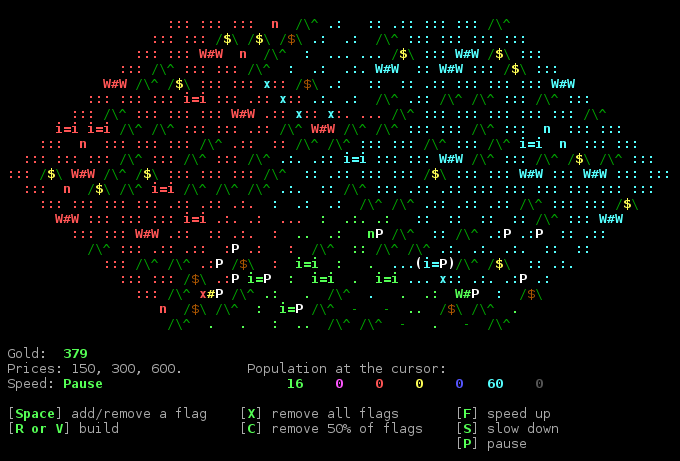 Influences: Globulation2, Liquidwar, Settlers, StarCraft, various tty games, roguelikes. ▶ Watch youtube videos: , . Or asciicasts: , . Gold mines (/$\) give you gold, which is used to build new cities. Put flags on the map to move your army. Press space to add and remove flags. You play as a ruler of the green country. To play with another person, you start a server, and both players start their clients, connecting to this server (i.e. if you run the server, you should connect to your own IP, 127.0.0.1). See the last section of the README file for details.